This year’s live and instantly on demand event takes place on Wednesday January 30 at noon EST and is completely free to all classrooms. Simply sign up at Discovery’s special registration link. 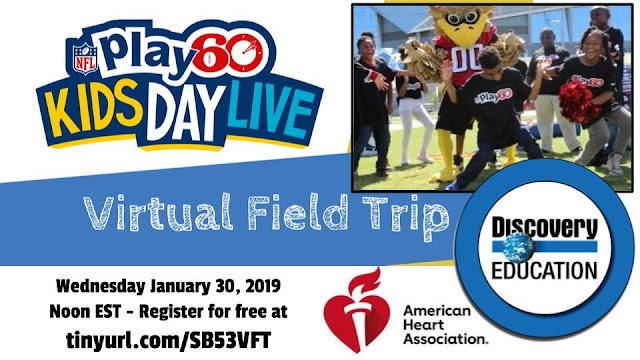 In addition, educators will find all kinds of additional resources that can be downloaded to get their kids thinking about the benefits of increased physical activity and excited about this live experience. Discovery’s broadcasts from previous Super Bowl sites like two years ago in Houston have been big hits with teachers across the country. I was lucky enough in 2017 to be on set in Houston to see all of the attention to detail and the incredible energy that goes into these productions. 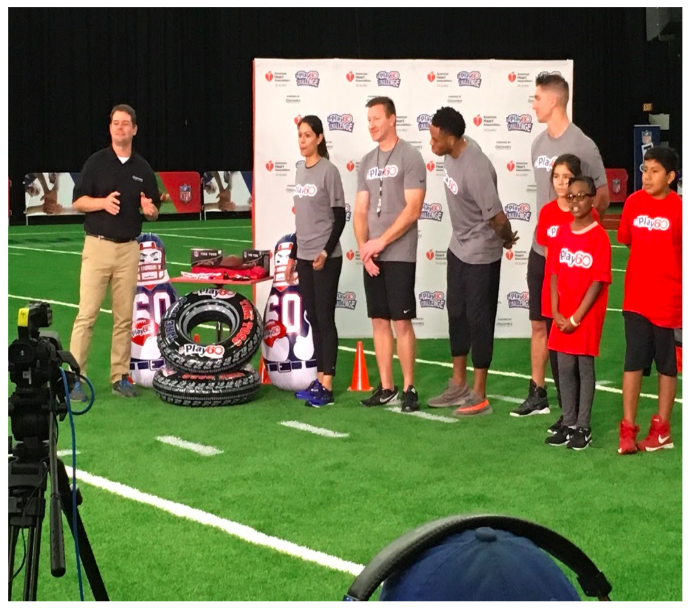 There was great coordination with the NFL’s youth outreach department, the American Heart Association, and a Discovery television production crew to pull off the live event. They even asked me to make an appearance alongside the hosts that included then-New York Giant and eventual Dancing with the Stars winner Rashad Jennings. Even if the noon live showtime doesn’t fit well into your teaching schedule, the broadcast is instantly archived and can be shown on demand anytime after it has begun airing. Discovery Education subscribers can even access a wide range of past field trips from Polar Bears in the Arctic to the touring of a nuclear energy plant.